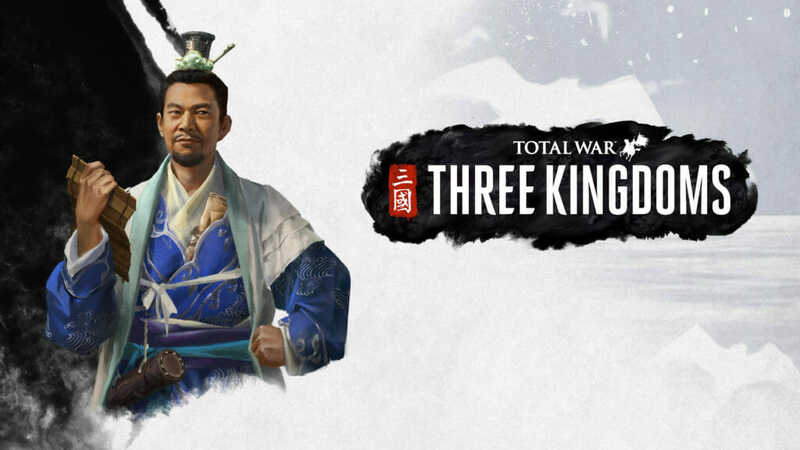 Total War: THREE KINGDOMS isn’t just a new period for Total War. It represents a phase of evolution for a host of traditional features and systems that you’ll be familiar with from titles past. These include army composition and management, characters – who can now build relationships and form attitudes towards one another – buildings, technologies and much more. Diplomacy is a biggie, and marks the single most significant redesign of the system in Total War’s history. 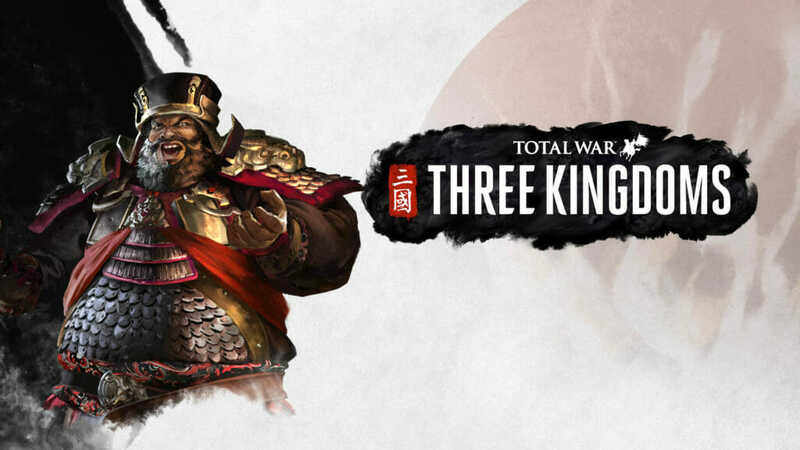 It’s the subject of our first THREE KINGDOMS campaign walkthrough video (which you can watch here), but we thought a wider-ranging explanation was in order as there’s loads going on under the hood – hence this blog. In brief, our aim is to enable the player to achieve a wider range of outcomes through diplomacy, via a system that offers more potential actions, a far more granular approach to deal-making, and a dash of intrigue thrown in for good measure. The result is something that enables you to execute more elaborate plans and become more of a puppet master than ever before. To support these new aims and features, we’ve essentially rewritten the diplomacy model and AI from scratch, in order to fully support – and exploit! – all the new tools available. Let’s start with the basics of diplomacy’s functionality and how they’ve changed. Your diplomatic standing with another faction is still the key factor in determining whether they’ll deal with you, and defines which deals they’re willing to discuss. However, another faction’s attitude towards you is coloured by more than just your previous military and diplomatic form. AI Warlords also take into account any spy actions you’ve taken against them, your Warlord’s friendship or rivalry status with them, and how much of a strategic threat you pose. While AI factions in past games took note of your military strength, they now take into account how aggressive you are with your armies as well. So, your diplomatic standing defines which deals you’re able to offer an AI Warlord. You’ll unlock new types of deal as your faction rank rises, too. You begin the game as a mere noble, and will have to work through the ranks before you can make a claim to become Emperor, with each rank bringing new benefits such as advanced diplomacy options. When you propose a deal to an AI Warlord, he’ll consider what it’s going to cost you, and that cost can vary enormously depending on a host of factors. Diplomatic standing plays a big role of course, as well as your relative military strength. 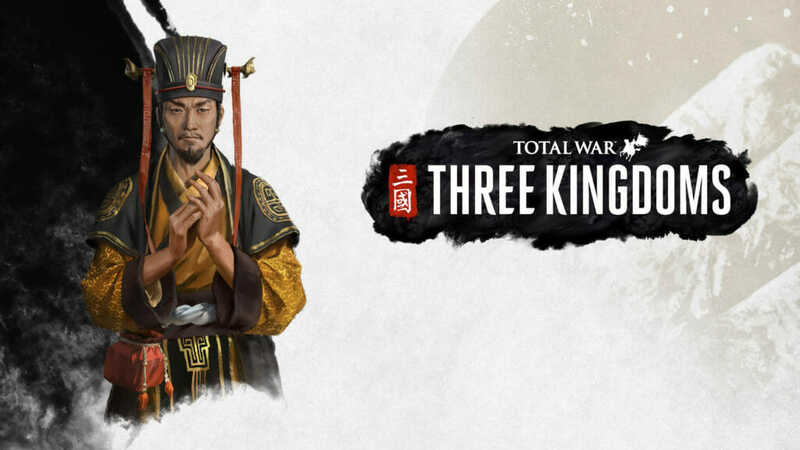 But a bunch of concepts new to Three Kingdoms play into the AI’s evaluation of a proposal’s cost. How much they actually respect and trust you plays an important role. Each AI Warlord can also identify a main threat to its existence. If you’re that main threat, certain deals will become easier, while others become harder. Likewise, if you and they share a common threat in the world, deals will be achieved on more affordable terms. Distance plays a part too; the further away a faction is geographically, the less relevant and valuable it becomes to an AI negotiator. He’ll also assess the diplomatic consequences of the deal you place before him. How will the rest of the world react to the deal? If a deal with you impacts his diplomatic standing with other factions, you can expect the cost to rise in line with the severity. The Han Governor Liu Biao forges strong diplomatic bonds with the Warlord Liu Bei. Their two factions trade, they lend each other funds from time to time, and trust builds between them. However, a great general under the tyrant Dong Zhuo, one that Liu Biao has met many times in battle and who is now one of his major rivals, becomes dissatisfied with his lot in life. He leaves Dong Zhuo’s service, and is subsequently hired by Liu Bei for his battlefield expertise. A key change for diplomacy is the introduction of more granular negotiation. Diplomatic dealings now take the form of haggling, and with more tradeable items, resources and pacts in your diplomatic armoury than ever before, you’re less reliant on pure cash deals. He browses Cao Cao’s list of owned Ancillaries, and spies a fine, fast horse. He proposes that Cao Cao throw in the horse as well, which subtracts 7 from the overall evaluation total, leaving it at +1. In short, Cao Cao places a high value on his stallion, but a trade deal with Liu Biao just outweighs it. So, when you’re requesting a deal with an AI Warlord and their first response is a negative figure, this doesn’t mean they’re unwilling to do the deal – if it’s beyond their consideration, you’ll get a flat “No!”. A negative figure indicates that the Warlord perceives the offer to be valuable to you and wants you to make it worth their while, and they of course arrive at this figure according to the factors mentioned above. With such an offer on the table, a new button will appear marked Make This Work. This is a down-to-brass-tacks shortcut which tells you what the deal is worth to the other Warlord – thus giving you a baseline to work from in the negotiation. You might ask a Warlord for Military Access to his Commanderies, for example, which he places a very high value on. You make the request and it appears with a -12 value attached in the negotiation panel. You then click Make This Work – the value balances up to +1, and a demand for 4500 gold appears. This is the sum you’d need to pay him in order to sign a Military Access agreement. If that’s a bit rich for you, here’s where you begin the haggling process. By adding further offers, such as food, territory, payment by instalments or something else entirely, maybe you can drive down that lump sum to something manageable, or even do away with it altogether in lieu of an arrangement that’s less costly to you, but equally valuable to him. Vassal mechanics have expanded significantly. The relationship between a Vassal State and its Lord is now multidimensional, offering many new benefits for both owning vassals and becoming one. There’s also a burden of responsibility, and a healthy dose of relationship management for a vassal lord to attend to. The core benefit for a vassal lord is that his vassals pay him a healthy percentage of their gross income each turn. In turn, he’s expected to protect them militarily. Therefore, if a faction declares war on a vassal, it also declares war on the vassal’s lord. And that protection is reciprocal: if you declare war on a vassal lord, its vassals will join the war against the aggressor. This makes military actions against a lord with multiple vassals a potentially very dangerous prospect. It also means becoming a vassal needn’t be a bad thing, and while it can be forced, it can also be a choice – you can actually offer to become a vassal for another faction. If you’re small, militarily weak and threatened by your neighbours, becoming a vassal for a larger power grants you those protections. You still function as a faction of course – vassalage is not a form of slavery – but with certain limitations in place. You’ll pay the tithe to your lord each turn, and if you wish to initiate a war against another faction, you’ll have to negotiate permission with your lord. If they agree, they will join you in that war. As a vassal, you can still engage in trade and general diplomacy with other factions, enhancing your empire in spite of your status. Moreover, being a vassal lord does not mean your vassals are subservient to you in all matters. Diplomatic standing is still important – if your standing with your vassal/s drops below a certain threshold, they’ll declare their independence, which puts you in a state of war with them. But a vassal can also approach its lord and negotiate for liberation; cutting a deal for their independence instead, a far more diplomatic solution to regaining solo status. A lord can choose to grant independence to their vassal which, as you might expect, brings a huge benefit to their diplomatic standing. Even better, granting your vassal independence, then inviting them to an alliance you’re part of – essentially liberating them, elevating them, and treating them as an equal – will please them beyond compare. At the other end of the spectrum, a lord can choose to annexe a vassal, at which point the vassal’s territory, armies and characters become wholly owned by the lord and part of his faction. This carries a penalty however – it’s a dishonourable thing to do, and will be seen by all other factions as a major act of treachery. Even more so if the lord has already pledged never to annexe that vassal as part of a prior negotiation! In a situation where a lord has multiple vassals and annexes one of them, the lord will suffer massive diplomatic standing penalties with all their other vassals. It’s wholly possible that some – or all – will declare immediate independence from, and enter a war against, their former lord. And who would blame them, fearing they might be next in line to face a hostile takeover from an honourless lord? The benefits to owning a stable and carefully managed network of vassals can be great. With the income they collectively generate for you, there’s less reliance on funds generated by your own infrastructure, perhaps freeing you to pursue your other civic goals. 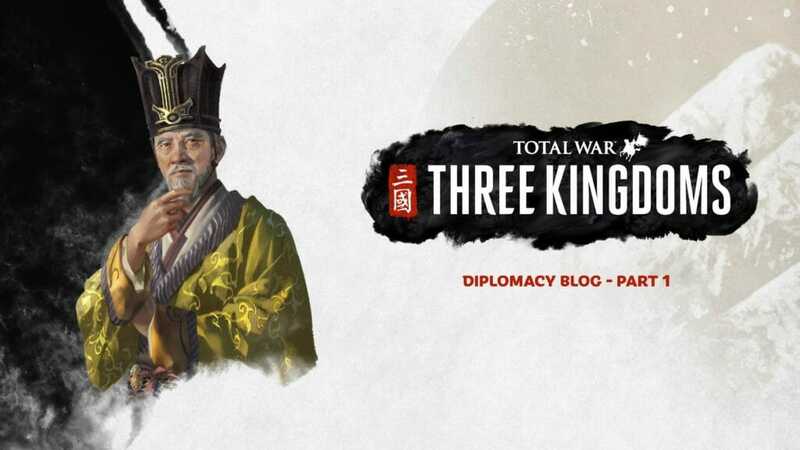 Three Kingdoms offers a significant range of new diplomatic actions. Rather than overwhelm the player with a screenful, we’ve bound them into distinct categories: War and Peace, Trade and Marriage, Alliances, and Diplomatic Treaties. War and Peace does what it says on the tin: all formal declarations of war and peace reside here, including support actions, such as requests and offers of military support. And there are plenty of new options in the mix, not least those regarding vassals. These are broadly covered in the Vassals section above. You can now sabre-rattle a Warlord, by issuing a war ultimatum. It’s a useful tool for getting what you want, but should only be employed with due forethought. Threatening a faction that is twice as powerful as yours militarily, for example, is going to get you into hot water tout-suite. And unlike more civil negotiations, the other Warlord will keep his cards close to his chest. Threaten a faction with war, and the AI Warlord’s evaluation numbers will be hidden. Unlike other forms of negotiation, you have to make your best guess as to the outcome, blind to the true numbers. If they reject your demands, war it is. Alongside the usual cash requests and offers, you can now request regular payments, or offer regular payments in return for something. These are fixed-term deals that expire after 10 turns, and broaden your options considerably. How many times have you desperately needed a truce with another faction, but can’t persuade them without a wad of cash you just don’t have? Now you can pay them in instalments… assuming they trust you to stick to the agreement, of course. It also means you can lend money, with payments returned in instalments. Ever the artful governor, Liu Biao has been negotiating food-trade deals with other Warlords, and developing grain storage building chains in each of his Commanderies in order to stockpile. He currently has 60 surplus food; public order is at an all-time high, and his patrolling armies are few but well-provisioned. But how to expand his army count? He needs a new revenue stream. He approaches the Warlord Yuan Shao, whose holdings have remained modest and profitable, but with no farms of his own, he struggles with food provision. Yuan Shao has approached Liu Biao several times before in order to secure food trades, and his northern Commandery is threatened by Dong Zhuo, who has been using his armies aggressively. Liu Biao spies his opportunity. He offers Yuan Shao 50 food in order to become his vassal. It’s a big ask of course, but with vassalage comes a pledge of military support – support which Yuan Shao sorely needs. He agrees to the deal, and becomes Liu Biao’s vassal. Trade agreements can also be arranged via the Trade and Marriage menu (of course!). Individual regions can also now be traded, which is one of the most effective ways of gaining long-term access to specific mined resources, agricultural lands, or towns. And you can now use Ancillaries as bargaining chips to swing deals, or as trade items in their own right. Many of these are practical – such as weapons, armour and mounts; some are merely ornamental but valuable, and some grant unique abilities or skills when given to a character. Some are legendary in nature – such as the unique weapons and armour of the legendary Warlords of the Three Kingdoms period. And yes, you can arrange marriages. When a marriage proposal is made, you can decide where the couple will reside – with your faction or with the spouse’s. This can be a useful way of acquiring a specific character for your faction, which can benefit you in a number of ways. And that’s all for now! We’ll be back soon with the second of our diplomacy videos, in which we’ll be focusing on alliances, coalitions and diplomatic treaties, along with another blog to elaborate on those features in detail.